DRAWING CHESS CARTOONS with Tony Sullivan! - Chess Puzzles! : Chess Puzzles! "Facial expression and body language are the keys to success--the fear on the King's face in his Bishop's arms, who struggles to hold the weight of the King! The deadpan expression of the pawns, who in contrast to the King, have no fear doing their duties. 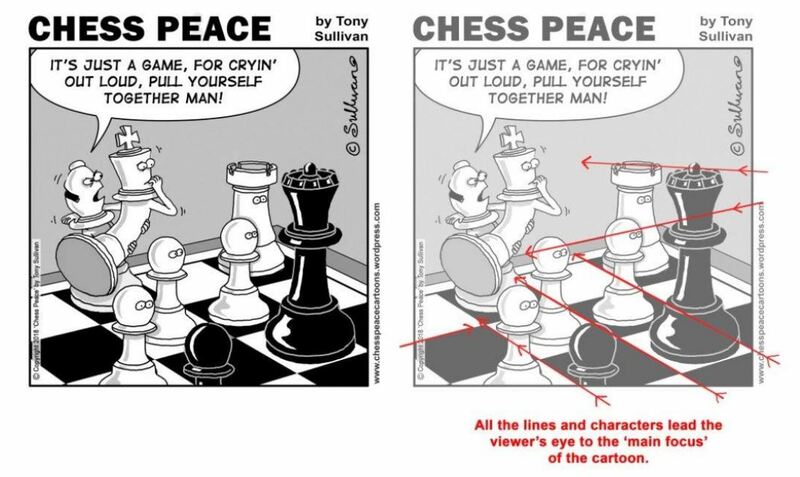 Please "Like" Tony's Facebook page "Chess Peace Cartoons by Tony Sullivan"--and you will be among the first to know when his new book goes on sale! In his new book, CHESS PEACE, Tony Sullivan takes you on a journey of the hilarious adventures of the chess pieces both on and off the chessboard. Tony Sullivan, born and raised in London, at age 41 he met a nice Australian girl and migrated to Brisbane, Australia where he now resides. Tony is a cartoonist whose career spans 35 years. 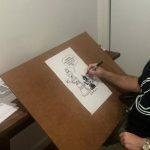 He has published cartoons in newspapers, magazines, illustrated books and even worked at a summer camp in the U.S.A. teaching cartooning to kids. 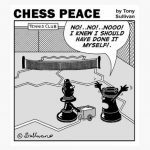 He has drawn a series of chess cartoons over the years, which he will now publish in a new book, CHESS PEACE, scheduled for release in the summer of 2019. 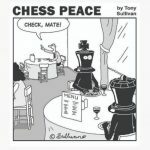 CHESS PEACE is a collection of chess cartoons that will amuse and please anyone familiar with the game of chess. Chess inspires Tony--and his purpose in writing the book is quite simple. In Tony's words, "I love making people smile, so I hope you enjoy my work." CHESS PEACE is a wonderful gift for anyone with an interest and love of chess! 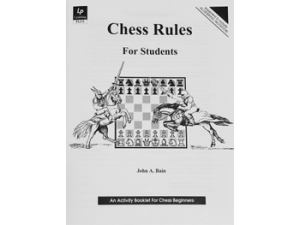 Chess Rules For Students is a workbook for students learning the game of chess and for beginning students returning to the game. No previous knowledge of chess is necessary. Parents unfamiliar with chess will find this booklet a valuable guide to their child's new interest. Chess Rules For Students is designed with students, coaches, and parents in mind. Reading level is appropriate for grade-school use. All major rules of chess are covered, and algebraic notation worksheets are included. Each page is in easy-to-use worksheet format. A student-friendly Answer Key makes self-correction fun! Checkmate! Ideas For Students is a workbook for beginning and intermediate students. Checkmate! covers the tactics used in checkmate attacks with clear explanations, diagrams and arrows to pinpoint the key features. 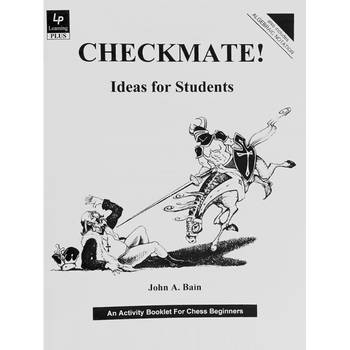 Unlike many other basic checkmate books, Checkmate! categorizes the checkmates by the tactics used to force the checkmate--like Pins, Sacrifices, Removing the Guard, Attraction, Clearance and Attacking Flight Squares--rather than only the checkmate pattern itself. The worksheets and Answer Key are clear and simple for the student to use, and easy for the parent, teacher and coach to correct! Fun! 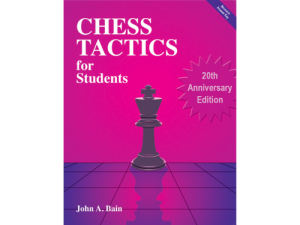 "Profiles Face-Off in King's Shadow"
Chess Tactics For Students contains 434 carefully selected problems in worksheet format. 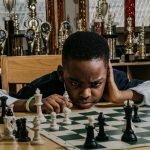 Chess Tactics has been extensively field tested with elementary, middle-school, and high-school students over a four-year period. This book is ideal for independent seat work as well as for homework and classroom instruction. The worksheet format and Answer Key enable self-correction with minimal dependence or direct help from a chess teacher, coach, or parent.